Summary: The blog describes all possible workarounds to export Outlook messages as EML format. It covers both manual as well as automated approaches, which can be utilized as per the comfort. In today’s date, the conversion from one email file format to another is a common thing. There is no particular time when a user demands a solution to import PST to EML. Well, an EML file is a single email messages file format that is used in a bundle of applications like Apple Mail, Thunderbird, Windows Live mail, etc. There are several programs that support and opens EML files to view an email message. 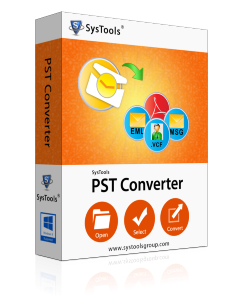 A PST file is created only by Microsoft Outlook program. Whereas on the other hand, an EML file is developed from several email clients like Thunderbird, WLM, Apple Mail, etc. The Outlook file is a complete mailbox data file whereas an EML is the single email messages saving file with the attachment. Microsoft users are restricted with PST file size limitation and an EML file is having no such limits. A PST file is only accessible in Outlook program but, an EML file can be accessed on various email platforms. The below-illustrated procedure requires a proper and complete installation of Outlook and Thunderbird email program. All that you need to have is patience till the end of the procedure. Note: Thunderbird and Outlook email clients installation should be on one machine. Microsoft Outlook must be set as default email program on Windows for successful completion of the manual procedure. First of all download Thunderbird v17.09 on your PC where Outlook in present and then, install it. Generate a new email account or you can also choose the existing one. For example, you can also configure your Gmail id in Thunderbird. You can manually configure id by mentioning the port numbers of the incoming and outgoing server of your web account. Here, we have configured a Gmail account. Wait for a while until and unless your Gmail account does not get configured in the Thunderbird program. Once all messages get downloaded in Thunderbird, click on Tools >> Import option. Select the items that you want to import and click on Next button. From the listed email client options, choose Outlook and hit on Next. Wait for a certain time duration, till the importing process does not get finished. This time period is dependent upon the amount of PST file data. When you find that Finish button gets enabled, click on it to terminate the current wizard. Select all the emails that are imported from Outlook in Thunderbird and right-click on them. Click on Save As option. Mention the targeted folder where you want to export Outlook messages as EML and click on Select Folder button. Finally, all your emails will be saved in .eml format. You can view them with help of your Windows Explorer application. Now, we assume that you have successfully converted Outlook emails to EML files without any damage to the existing mailbox. There are few critical instructions where you might be facing errors and hence, interruption of a hurdle in between. It is also possible that the manual approach does not move attachments in resultant EML files. Users might find that several features are still left, which they can find in the alternative approach to convert emails from Outlook to EML. Instantly transfer emails from Outlook to EML within no time. Attachments are also migrated in exact file format. Date filtering option to export file of the certain time period. More than 5 file naming convention options to save. It is not too much difficult to export Outlook messages as EML file format. If a person is well-known from updated technologies then, he/she will easily be able to attempt the email file exporting. Users can opt for a third-party solution to experience an easy and efficient way.